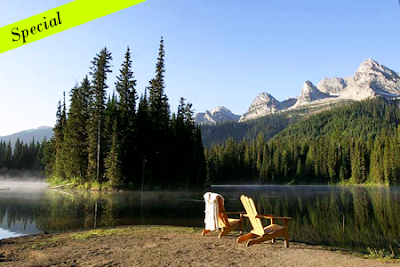 Looking for an amazing setting of mountains and lake to spend the summer? What could be more romantic than a weekend together at an intimate mountain lodge? Experience two relaxing nights in a deluxe lodge, our mountain buffet breakfast and gourmet dinners. Package includes a 90-minute couple’s wellness spa treatment, a bottle of local BC wine and chocolate & fruit plate awaits you upon your arrival. Enjoy full use of our lodge facilities, as well as miles of pristine hiking trails in our remote mountain setting. Perfect for anniversaries! Island lake resort is really a nice place to spending your holidays. Location of this resort is main thing which you like the most. One beautiful lake and your family, It feels great.